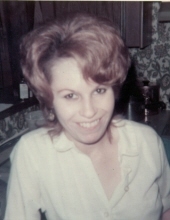 TIMBERLAKE: Linda Hastings Williams, 72, passed away on Thursday, February 7, 2019 at her home in Timberlake. She was born in Durham, to the late William Owen Hastings and Emma Belle Hastings. In addition to her parents, she was also predeceased by her sister, Charlotte Hastings. Ms. Williams was a long-time manager of McDonald’s in Hillsborough. Ms. Williams is survived by her sons, Kenneth Harrison Williams and wife Christine, Daniel Quinn Williams and wife Eva; grandchildren, Savannah Williams, Douglas Williams, Brandon Williams; sister, Catherine Gillette; and brother, William Hastings and wife Pat. A funeral service will be held at 2 p.m. on Monday, February 11th at Clements Funeral Chapel in Hillsborough with Rev. Craig Willingham officiating. The family will receive friends prior to the service from 12 to 1:30 p.m. at the funeral home. Burial will follow the services in Cross Roads Baptist Church Cemetery. To send flowers or a remembrance gift to the family of Linda Hastings Williams, please visit our Tribute Store. "Email Address" would like to share the life celebration of Linda Hastings Williams. Click on the "link" to go to share a favorite memory or leave a condolence message for the family.